The Butterfly Garden die set is made up of 5 separate dies. One cuts out a decorative floral frame whilst another cuts a square that the frame fits into so that you can either use the frame over a background or cut an aperture to put it in. 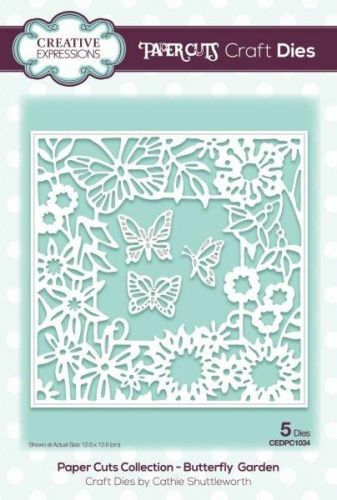 The other three dies cut different butterflies that you can add to your design to complete the scene and add dimension.